Sunbird Cleaning Services Charlotte specialize in all types of upholstery cleaning services. We can treat your pet stains and odor , your sofas, arm chairs, mattresses, dining chairs, pillows, car seats, yacht upholstery, you name it and we clean them. We at Sunbird Cleaning Services understand that furniture with upholstery requires special cleaning treatments since the cleaning method should match fabric and materials used. We use tailor made treatment styles for our furniture cleaning that best matches your upholstery and offer maximum cleanliness. We provide cleaning for all kinds of upholstery ranging from delicate to simple fabrics. Regular deep cleaning of upholstery would ensure your furniture longer life. It also ensures that you avoid the huge investments that upholstery neglected for long can force on you. Our trained and experienced upholstery cleaning technicians would provide you with an estimate, once you contact us. Sunbird Cleaning Services in Charlotte NC deliver spotless and matchless results to our clients. We make use of ultra modern equipments and latest techniques for upholstery cleaning. We understand that every piece of upholstered furniture in your house requires special attention and that's precisely what we deliver. 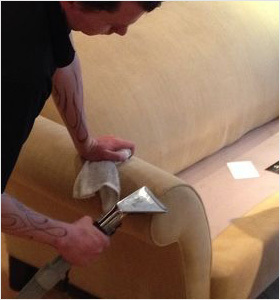 Our upholstery cleaning experts are well trained and have years of experience behind them. They are familiar with cleaning hard to clean upholstery like silk and velvet. Once you contact us, our upholstery cleaning experts would conduct a thorough inspection of fabric used, manufacturing of pieces and come to conclusion on the best method of cleaning to be adopted for your furniture. Sunbird Cleaning Services team of experts ensure that your furnishing gets special care. We provide restoration and repair work in addition to upholstery cleaning. We offer stain proof protective coating after our upholstery cleaning to our clients on additional cost. Deodorizer services are also extended on request. Furniture is one of your big investments and they need cleaning. Choosing whom to approach is a big decision. Sunbird Cleaning Services are professional upholstery cleaners and have considerable experience in handling all sorts of fabrics. We choose the right cleaning solution and tools for your furniture; to clean gently between crevices and folds without causing any kind of damage. Processes used in carpet cleaning are used in upholstery cleaning as well. Sunbird Cleaning Services two step cleaning process leaves no chemical residues. We begin by applying the heated upholstery cleaning solution to fabric. This loosens accumulated dirt from base of fabric fibers. This step is followed up by a thorough pH balancing fiber rinse and extraction which removes dirt along with cleaning solution. We highly recommend application of upholstery protector for extension of upholstery life. We conduct final inspection ensuring high standards prior to handing over. New upholstered furniture comes with an application of upholstery protection. This wears off over time and reapplication is highly recommended after cleaning for preservation of color, beauty and life of your upholstery. Spills can be cleaned prior to them turning into stubborn stains. Sunbird Cleaning Services offer excellent upholstery cleaning services. We have many offers and great deals for our clients. Our service helps you to maintain the appearance, softness and beauty of your upholstery, so call us now. 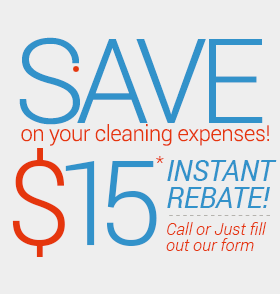 We at Sunbird Cleaning Services Charlotte will take care of the rest.